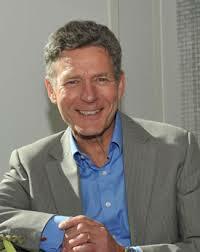 I had the very real privilege of listening to and interacting with Prof Mike West of the Kings Fund as part of a Cumbria Wide learning collaborative a few days ago. It was utterly engaging and inspiring. His basic strap line is this: “The vision of health and social care is to deliver continuously improving, high quality and compassionate health care to all in our community.” The problem is that we’re not doing this, and we’re not doing this because there is something deeply wrong in our culture. And so how do we change a system, especially when it feels that the odds are seriously against us? How do we recover compassion? How do we envision a floundering workforce and help them to believe? Why are there some beacons of light in each organisation and some really dark holes? Why are we not learning more readily from areas of good practice and challenging those that are way below par? There are some seriously problematic things for us to face up to, and although I love to take a ‘solutions-focused’ approach, I do believe that sometimes you have to face up to your reality before you decide to move into a different kind of future. We could talk until the cows come home about the potential dismantling of the NHS, the low morale of staff and this ‘black hole’ of debt. But what I want to focus on in this post is the cultural deficit. Previous governments have tried to address this with targets, competition and inspections, but each of these, although I think introduced with good intentions, have backfired spectacularly and driven morale lower without improving the culture at all. 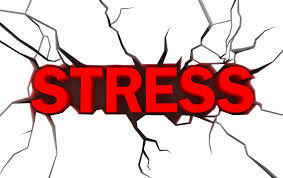 Stress is defined by Mike West as a poisonous concoction of high work demand, low control and poor support. Chronic high stress levels are significantly higher in the NHS (26.8%) compared to any other sector (17.8% on average). High stress is detrimental for people’s health and a well known cause of early death. And so in an organisation in which we have 1.4 million people spending on average 80000 hours of their lives caring for other people, we are literally killing them by not caring for them. This is a paradox in an organisation which is supposed to have compassion at its core. And yet we know through significant evidence that the lower the morale and health of your team, the worse the outcomes for patients will be. Stress in the NHS and the lack of compassion with which we treat our own staff is a more significant health risk to the population than many of the issues that we give far more attention to. So, what can we do? Are we doomed to serve systems that de-humanise people and devour them like bread? Must a system be driven by what Foucault calls ‘biopower’, ie using human beings as the fodder to drive the machine? Can the systems be harnessed and redeemed and made to work for us rather than served by us? Yes! I can say that this is happening here in Morecambe Bay and I see evidence of it in many areas. Nationally, we can take comfort from 2 things, in particular. Firstly, although the truth about our current culture is uncomfortable, the truth is now available to all, so change really can happen. Secondly, the vast majority of people genuinely want the culture to change and the dominant minority in the centre of toxic cultures can no longer hold. Mike West says systems can change, and he has gathered some good evidence to back this up. But it takes time (5-6 years), it takes focus and it takes consistency. He breaks cultural change down into 6 key elements that are well worth exploring. 1) Vision, values and strategy. It is absolutely vital in order for a culture to change that the direction of travel is obvious to all. 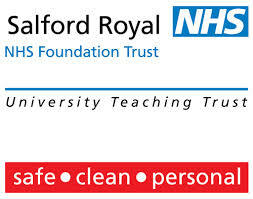 Salford Royal Hospital in Manchester have for years had the same vision statement: “To be the safest hospital in England”, and they have done it! A vision has to be clear, it has to mark ambition for the future and be able to guide and inspire the whole organisation towards change. However, it takes 5-6 years to embed this through an organisation. So those who communicate a vision to staff and then wonder why they haven’t got it yet need to understand that a paradigm shift in thinking doesn’t happen overnight. A change in direction of the rudder doesn’t turn the ship in one go. The vision needs to be communicated multiple times in multiple ways to multiple audiences. It needs to be inspiring, owned by all and makes clear commitments to the direction of travel. 2) Clearly aligned goals at every level. If a vision is to be cast, there must be measurable goals along the way, so that a team knows they are heading in the right direction. These goals have 2 key elements. Firstly they must be clear and achievable (so not more than 5 or 6). Secondly, they must be aligned to vision, measurable and challenging. People must be challenged to reach an objective, so that the process is both stretching and fun, and there needs to be celebration of goals being reached along the way. Problems emerge here when leaders don’t want to hear about problems that are being encountered. The team needs to be responsive to barriers. For example, there is no point wasting time and energy on collecting data for the sake of it. We want to collect data that actually helps improve patient care or helps staff do their job more effectively. If we want our staff to treat people with care and dignity, then we must treat our staff with care and dignity and that means listening to them and responding to them as we head into uncharted waters. 3) Leaders need to manage and engage with their staff well to gain high quality care. The high level of chronic stress in NHS staff proves that this is not happening as well as it needs to. The Kings fund have discovered some key themes from their research in this area: a) patient satisfaction rates are far higher where staff have clear goals and are working together as a team to achieve them, b) staff views of their leaders is directly linked to patients’ views of care quality, c) staff satisfaction/commitment predicts patient satisfaction, d) if staff feel high work pressure, low control over this and low support then patients will also report low staffing numbers, insufficient support, privacy and respect, e) poor staff health and well-being is directly linked to high injury and mortality rates, and good HR practices lead to lower and decreasing levels of patient mortality. Another key factor is the reduction of hierarchy. The John Lewis Partnership has consistently had the highest level of staff morale for the last 180 years. 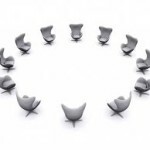 one key factor is this: there are only 3 levels of hierarchy – CEO/board/partners. Staff/partners feel empowered to make changes and they are listened to. We are not managing our staff well in the NHS. 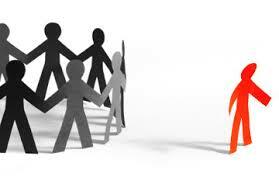 24% of staff report regular bullying by ‘management. Discrimination is higher especially for those of Black-African and Black Afro-Caribbean descent. It is still high for those from Asia and 18 times higher for Muslims than for any other group and is also high for those who are not ‘heterosexual’. If you have white skin, you are three times more likely to be promoted into senior leadership positions, when account for numbers is made. And despite the suffragettes we continue to see discrimination against women in certain specialties, most notably, surgery. This is not an acceptable culture. We need to change the culture. Leaders need to learn to be present for their team. Mike West puts it so well: “Leaders need to learn to listen, with kind eyes, full of care and fascination (just as we would want our patients to be listened to). We need to learn empathy, to communicate well and take intelligent action.” Engagement with our teams is about really engaging at an emotional level and this takes trust. Our management styles must change towards being far more inclusive, empowering and under-girded with our values and integrity. For staff to feel happy, there needs to be a sense of a stable senior leadership team. There should be a real sense of anger about how badly staff in the NHS are currently treated but a clear positive attitude towards affecting change. Leaders must help process negative emotion in their teams and deal with quarrelsome, disruptive behaviour that spoils the hope for a different future. Poor performance and attitude has to be challenged if we are to create the kind of culture we need and want to see. There are many situations and systems in which an entire culture can be toxic, with top down bullying as the order of the day. Creating resilience in our teams is not about toughening people up to go back into toxic situations until they finally break. No, we need something far more creative than this. It is impossible to change a culture as a lone shark. Mike West talked about gaining ‘minority influence’ – good examples of this are found in the Feminist movement and the Green Party. A small group of committed and determined people can accomplish an incredible amount. But if the culture will not change, then wipe the dust off your feet and go and give your energy elsewhere. Systems can change if there is desire enough to change them. There are hospital trusts in the UK that report significantly higher staff morale than anywhere else. We must learn from places like Salford Royal, Royal Wolverhampton Hospitals, St Helen’s and Knowsley, Bedford and Frimley Park. Here in Morecambe Bay, where the maternity service has been at rock bottom, we are part way through an incredible cultural shift and many other departments throughout the country are beginning to turn here and ask us what we’re learning in our journey of change. 4) Learning, Quality Improvement and Innovation. This is a very straight forward point, but one to which we do not pay enough attention. Learning organisations facilitate the learning of all staff and the system itself to continuously improve. If we’re not improving, we are going backwards. We must learn to learn from failures and create a culture where this is acceptable. Learning organisations are characterized by systems thinking with information systems that can measure performance. In such a system, staff are encouraged and motivated to focus on improving quality (why would we want to do a shoddy job?). Learning is done in teams and crosses the boundaries of role and specialization and there is always dialogue going on around this. Prof West says that a key question to continually ask is this: “What do we need to change around here to enable you to be able to do your job more effectively?” We must make a promise to learn and a commitment to act. Where staff have a focus on continually improving patient care and this is embedded in the culture, targets become obsolete. Reflective practice and learning becomes endemic. All staff are accountable and all staff are enabled and empowered to bring about change. 5) Team working. Teams need clear objectives, roles, communication and learning. In the NHS, 5% of people say they do not work in a team. 40% of people feel they work in an effective team. That leaves 55% of people who consider the team they work in to be dysfunctional. Stress, injury, bullying and errors are all higher in ‘pseudo-teams’ and the mortality rates are significantly lower for patients who are cared for by teams that function well. Interpersonal conflict is a disaster for effective team and inter-team working. 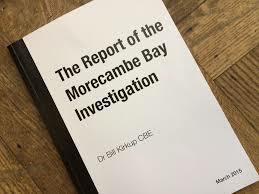 The Kirkup report into Morecambe Bay and the Francis report into Stafford both highlight the appalling and detrimental effects of the breakdown of relationship between consultants and hospital departments. It is estimated that up to 30000 deaths per year could be prevented by more effective team working. This conversation really matters! We have to change our culture. 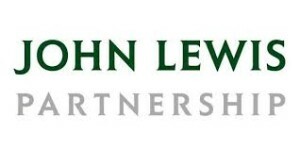 To develop good teams, we must encourage positive and supportive relationships, resolve and prevent conflicts, create a positive group attitude to diversity, be attentive and really listen to our teams, encourage inter-team cooperation and nurture team learning improvement and innovation. Our teams must develop reflexivity. Teams are more effective and innovative to the extent to which they take time out to reflect upon their objectives, strategies, processes and environments and make changes accordingly. The best response to pressure is not to work even harder, but to stop, take a step back and reflect. This is true even in emergency situations, as evidenced by the pilot who handed over the controls to his co-pilot whilst he took time to assimilate his options and decide on a strategy to land US Airways flight 1549 in the Hudson river in 2009. 6) Collective Leadership. Leadership is the responsibility of all. It is for anyone with any kind of expertise to take responsibility where and when appropriate. Leadership is shared in teams across the whole community. 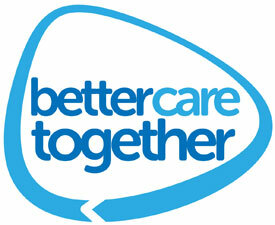 It is interdependent and collaborative, working together to ensure high quality health and social care. 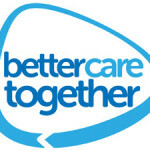 This is our experience through Better Care Together in Morecambe Bay. It needs to be both clinical and managerial. The more hierarchy there is, the less opportunity there is to innovate. 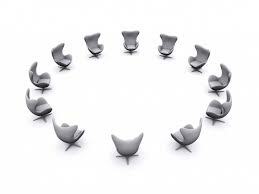 There are lessons for us to learn from more collaborative leadership styles like ‘The Art of Hosting’. We would do well, to take heed and learn some vital lessons from teams daring to do things differently. Mike West finished his lecture with a very beautiful summary: Health and Social Care is about the core value of compassion. We want to create compassionate communities that listen with fascination and are empathic. We have to begin with ourselves. We need to take intelligent actions around this so that we can create the kind of cultures we want to see.